6 years later, BOD continues to be an innovative online community that helps daters navigate the tragi-comedy of dates gone wrong. 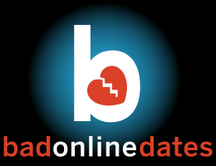 The website that pioneered the social sharing of bad dating experiences and advice, BadOnlineDates.com, celebrates it’s 6th year anniversary on October 18, 2013. DressForTheDate.com is a groundbreaking new dating fashion service that offers online or in-person advice on creating perfect outfits and/or wardrobes to fit any dater's lifestyle and budget. Most dating coaches will agree that the single most important factor influencing the first impression on a date is how you look; specifically, what you are wearing and how you are wearing it. Therefore, in an effort to help daters feel and act confident on dates, DressForTheDate.com helps men and women utilize their current wardrobe and budget to look their very best for that oh-so-important date. Dress For The Date is not your stereotypical styling service. Dress For The Date Stylists are not out to change their clients' style or give them a major makeover, instead they want their clients (both men and women) to find the best way to express themselves via personal style. DFTD Stylists are experts at working with a client's existing wardrobe and/or shopping at stores within their budgets (even thrift stores!) DFTD services start as low as $20 and offers virtual consultations using Skype, Google Hangouts, or FaceTime. DFTD caters to clients that are all shapes, sizes, and every type of lifestyle and stage of life -- Plus size, newly single, divorcees, recent weight loss, post-college-life daters, gay/lesbian, shopping-haters, shopping-lovers, widow/widower, high-end and budget-conscious. Essentially, if you're in the dating world, DressForTheDate.com is the go-to resource for putting your best foot (and outfit) forward. 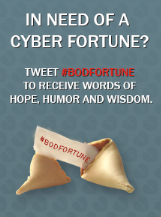 Bad Dates iPhone App Bad Date TV In need of a cyber fortune?